No matter your house, there’s an opera for you! Boston Lyric Opera’s 40th Anniversary Season is one of it’s most eclectic for several reasons. The venues might top most people’s lists as the most diverse thing happening this season as we move into a different space for each production, but how many arts companies do you know build a Season that can be sorted – accurately and honestly, but also by total coincidence – into Hogwarts Houses? BLO is the first for me. Opera and Harry Potter might seem to be on completely different ends of the spectrum (though at the rate JKR is going, she might write an operatic sequel to Harry Potter and the Cursed Child at some point), but the brilliant thing about the Hogwarts sorting system, as any Harry Potter fan will tell you, is that you’re sorted into a Hogwarts House based on the values you keep. (It’s also why there’s no direct correlation between Hogwarts and Ilvermorny houses, but that’s another discussion completely – this is about BLO’s upcoming season, and how each opera focuses on the different values of the houses.) 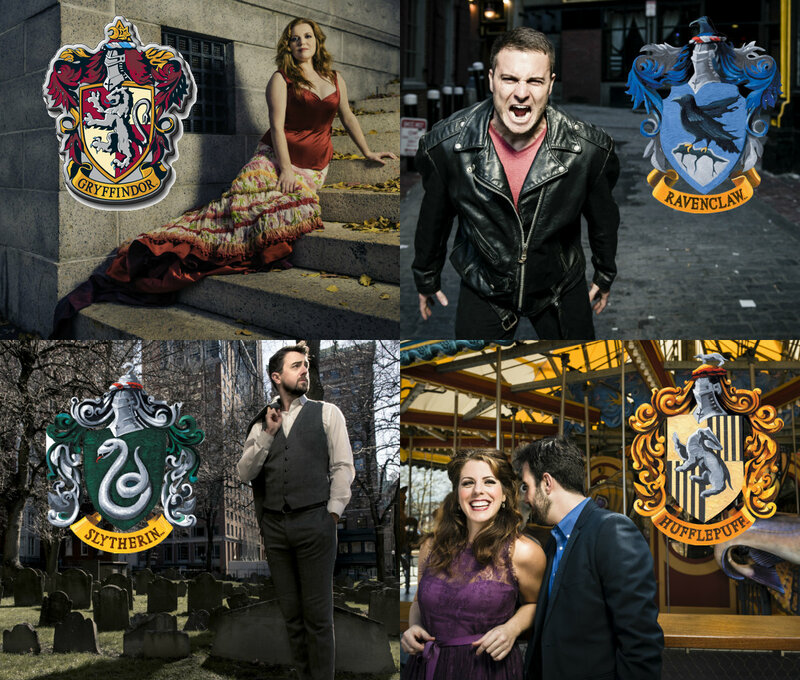 So regardless if you’re a Gryffindor or of a Hufflepuff mind, you’re bound to find an opera you enjoy! It was during a casual conversation between coworkers that the subject of sorting came up, and in the manner of a game we moved from sorting the people in the office to the productions in our Season. As we spoke, we were all pleased to see we’d come up with the same sorting – so take a look and let us know what your house is, what you think, or what you might change! The opener of our 40th Anniversary season, the “gateway opera”, Carmen is a story of love and passion, as well as some troublemaking, all things Gryffindors have tenfold. They mean well but are often rash and let their emotions get the best of them – an understatement for this production. There’s lust and bravery and ruthlessness – and those in Carmen are nothing if not brave at heart. The retelling of a greek myth. The ideas of fate, of things that are simply meant to be, of cleverness and things that seem impossible but are actual truths. These are all parts of Greek and all point directly towards Ravenclaw, even if it isn’t as neatly put together as some of the other pairings. In Greek Eddie wants more, want to learn more and get more and be more, and though his ambition is reminiscent of a Slytherin, he’s a Slytherin in a Ravenclaw world if anything. Anyone who knows me knows that I’m not fond of the automatic idea of Slytherin = Evil, but in a story about a man making a deal with the devil for his own advancement, and the devil sabotaging the man to win the bargained soul, how could you pick any other house? This opera has ‘cunning’ written all over it with the deviousness of Nick and Tom in their endeavors, and their main focus being their own amusement and well-being regardless of what they do or who they hurt. A fun, comedic story full of shenanigans, how could The Marriage of Figaro be anything but Hufflepuff? Both fair-minded and unafraid to scheme, much like the characters in this show who seem to be constantly at odds trying to out-scheme the other, this house is a perfect fit for Figaro. Seemingly harmless but more than capable of mischief, with a lot of laughs to be. See all 4 and see if we're right!